Want to find out who wins Best Dressed Individual at a Users Group Conference? How about Most Creative Use of a Neutral File? 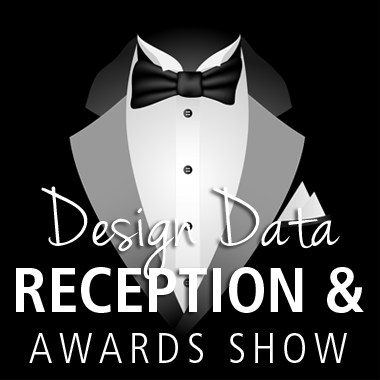 These awards and more will be handed out during Design Data's Thursday evening reception and dinner during the 2012 SDS/2 Users Group Conference! The conference will be held October 10th through the 12th at the Cornhusker Hotel in Lincoln, Nebraska. Award winners will receive one of an array of prizes, ranging from gift baskets from Taste of Nebraska and Hollenbeck Farms to gift cards from Amazon, Best Buy and Visa. 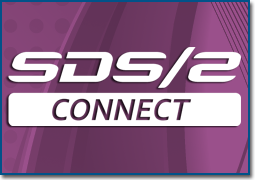 The awards celebration will include the presentation of the annual Connectors Club award, as well as the announcement of 2012 SDS/2 Solid Steel Competition winners. The theme for this year's dinner reception — to be held at the historic Rococo Theatre in downtown Lincoln — is Old Hollywood, so dust off your formal wear and don that cummerbund. Don't want to break out the tux? We'll be providing FREE tuxedo t-shirts to conference attendees who send an email with their preferred shirt size by September 14th. The shirts will be distributed at the conference only to those who have reserved them ahead of time. There are still spots available for the First Annual Design Data Golf Tournament, a 9-hole scramble. The tournament will be held at 2 p.m. Friday, October 12th, at Himark Golf Course, located at 8901 Augusta Drive. Transportation will be provided. To register or learn more, call Design Data at 402.441.4000. The conference fee for registrations before September 21st is $100. After September 21st, the cost is $125. The deadline for online registration is October 5th. To register for the conference, click here. 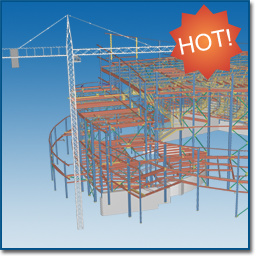 Design Data's SDS/2 Erector software was one of 12 products recently dubbed a Hot Product by Modern Steel Construction. The products were selected from the NASCC: The Steel Conference exhibit hall, and were picked as standouts by MSC and AISC staff. SDS/2 Erector features additional functionality, enabling users to add crawler cranes with fixed and luffing jibs, as well as tower cranes. To learn more about SDS/2 Erector and see the other Hot Products, click here. 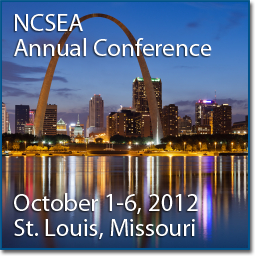 The National Council of Structural Engineers Associations (NCSEA) is holding its 20th annual conference in St. Louis, Missouri. The NCSEA was formed to constantly improve the level of standard of practice of the structural engineering profession throughout the United States, and to provide an identifiable resource for those needing communication with the profession. The conference runs from October 1st through the 6th; the exhibit hall will be open on the 4th and 5th.